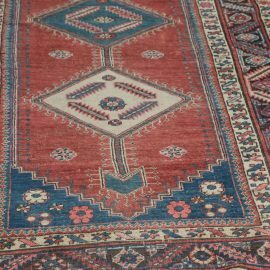 Please call for price, ANTIQUE HANDMADE FLORAL PERSIAN SAROUK CIRCA 1930Description: Know for their exceptional quality and ability to withstand decades of wear, Sarouks continue to be a best seller of the Persian rugs This is a good decorative example of Sarough carpet weaving. The formal design is typically seen, and the most frequently seen back ground colour on such carpets is this deep blue tone. 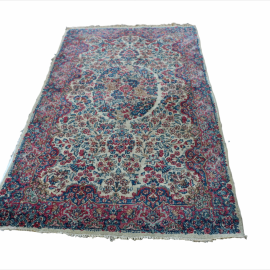 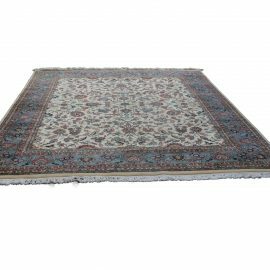 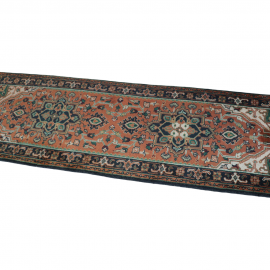 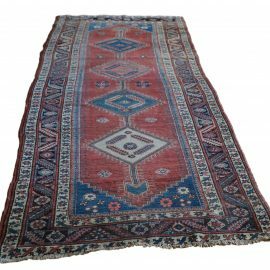 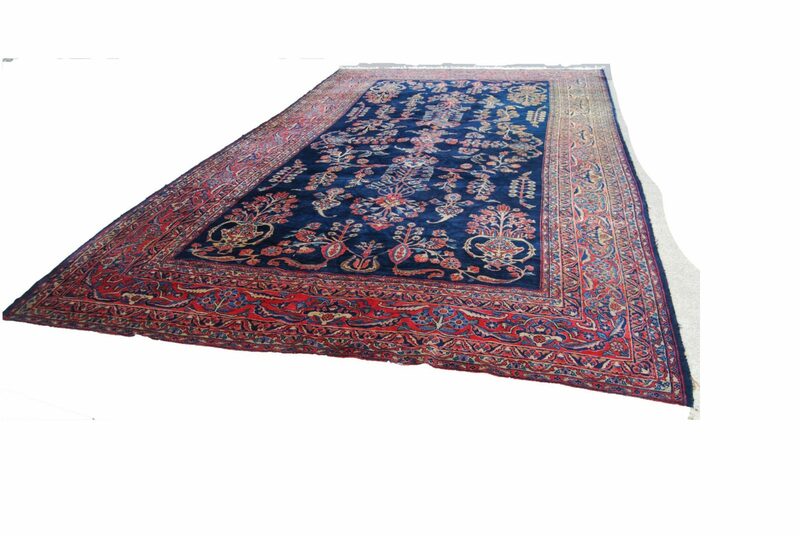 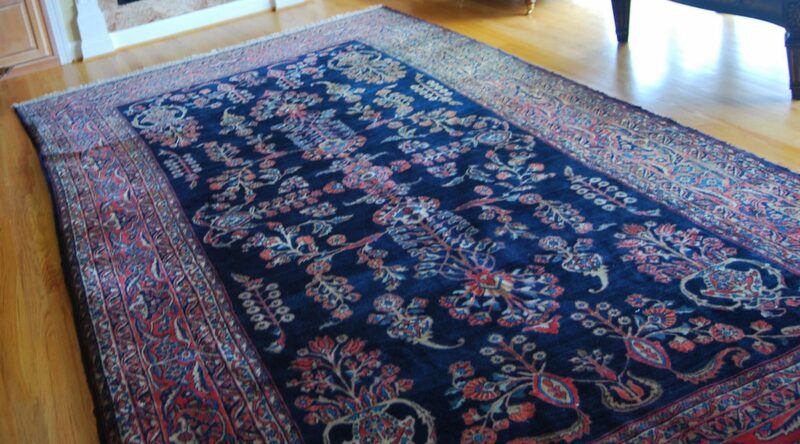 This genuine large hand knotted exquisite Antique Rug portrays an ink blue field with polychrome flowering urns issuing curvilinear vines, within a red palmette, flower head and vine border. 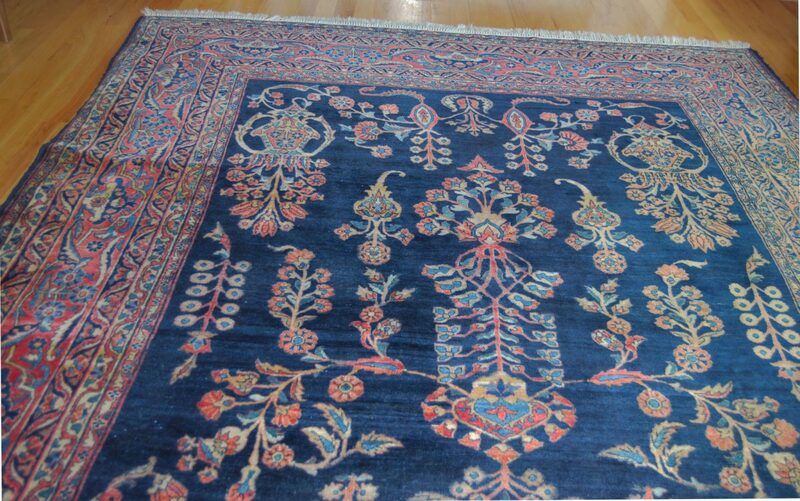 With its intricate weaving and full pile, this one of a kind rug displays a true magnificence. 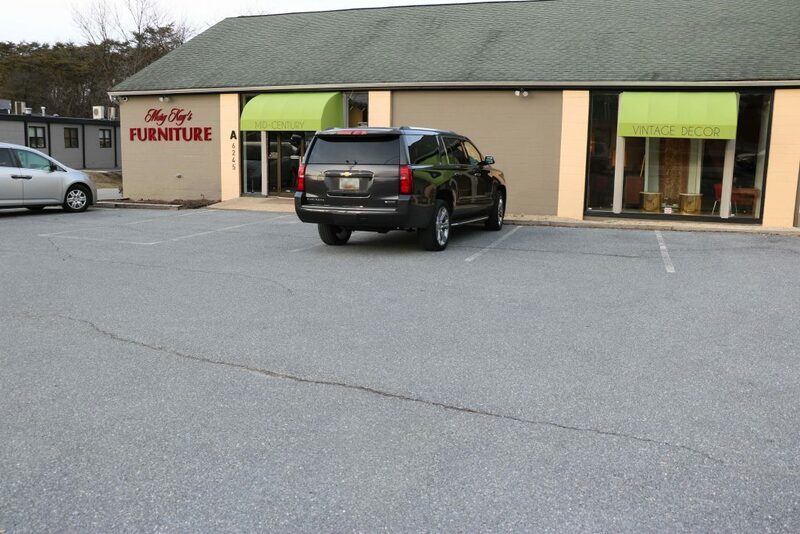 Known for it’s intricacy and unique quality. 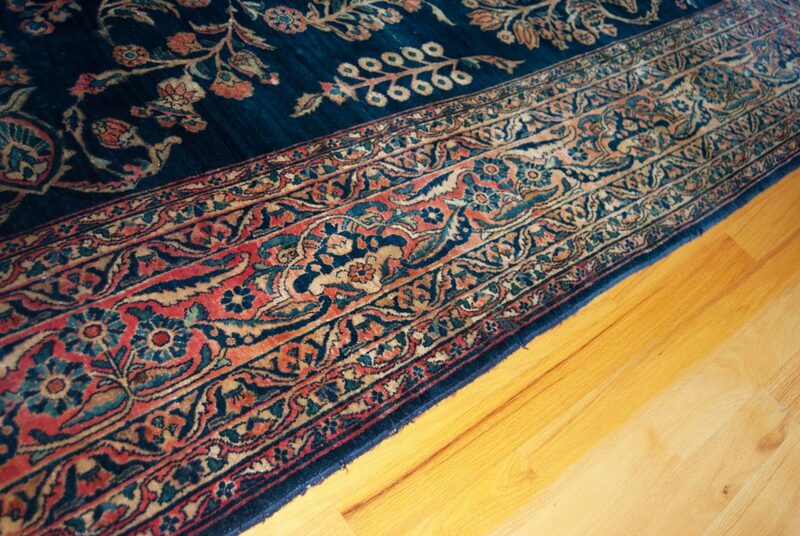 This rug is originated in central Persia. 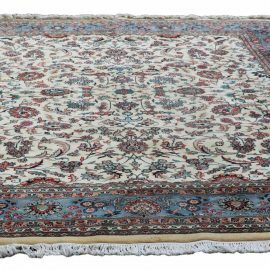 This area was known for its intricate workmanship allowing 100 % Hand Knotted Sarough rugs are those woven in the village of Saruk and also the city of Arak, Iran and the surrounding countryside. 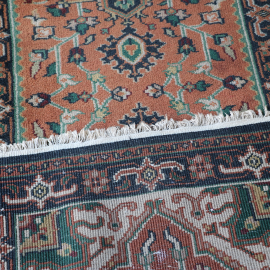 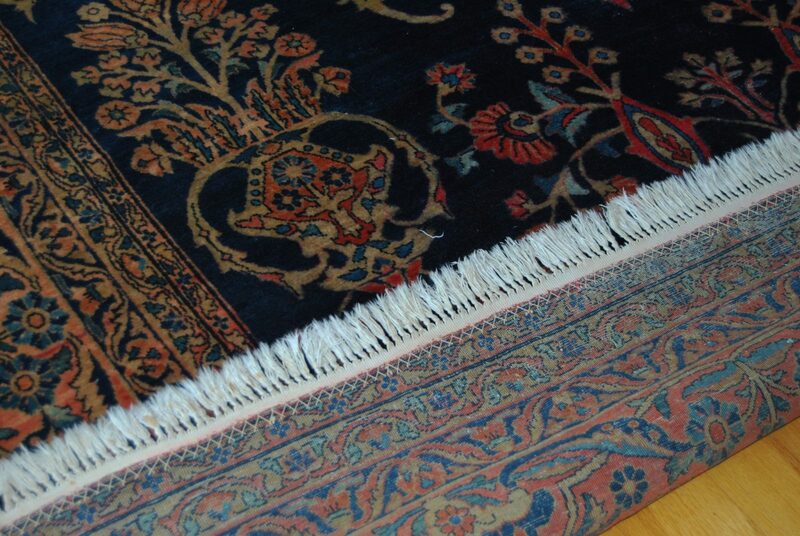 Sarouk rugs have been produced for much of the 20th century. 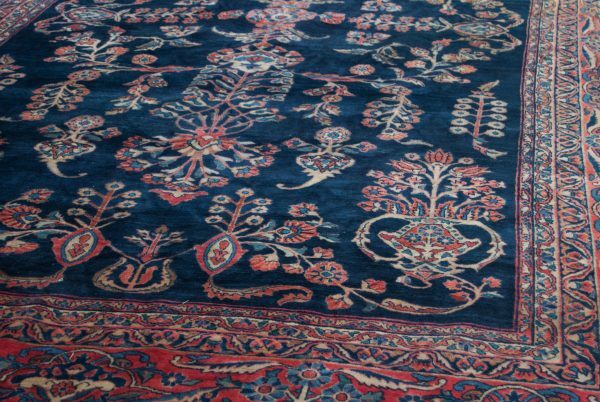 From the 1910s to 1950s, the “American Sarough” was produced. 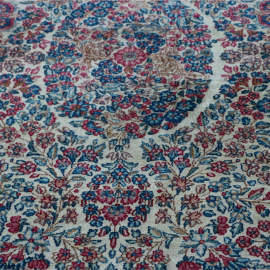 American customers had an affinity for their curvilinear and floral designs They are made with a high quality, tough wool using a Persian knotSize: 15′ x 8′ Ft.